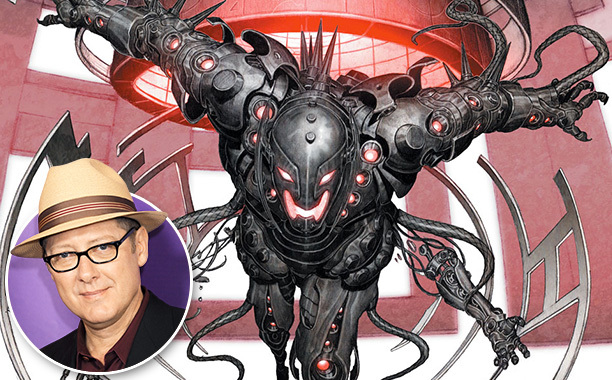 James Spader (NBC’s Black List, ABC’s Boston Legal) has signed on to play the robot villain Ultron in writer-director Joss Whedon’s upcoming superhero sequel Avengers: Age of Ultron, Marvel announced today. Originally created by Hank Pym (Ant-Man) in the source material, Ultron has long been a chief villain for The Avengers since their inception. Spader joins the returning cast that includes Robert Downey Jr., Chris Evans, Chris Hemsworth, Mark Ruffalo and Samuel L. Jackson with indie darling Elizabeth Olsen is in talks to play Wanda Maximoff a.k.a the Scarlet Witch.